I was mentioning in a previous post that I shall present soon some new images from the March 20th Partial Solar Eclipse. The above image is just a single shot, but the following one is a stack of 44 frames acquired in just one minute (at 09:29 U.T. 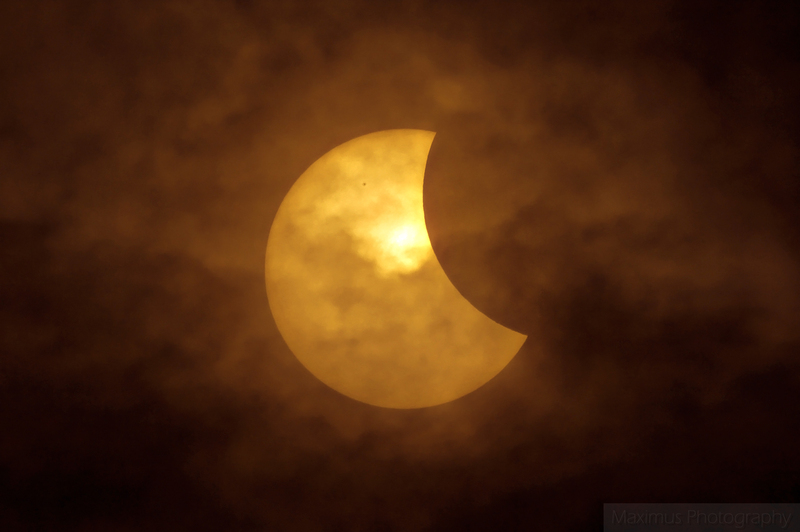 ), when the clouds did not interfered with the eclipse. 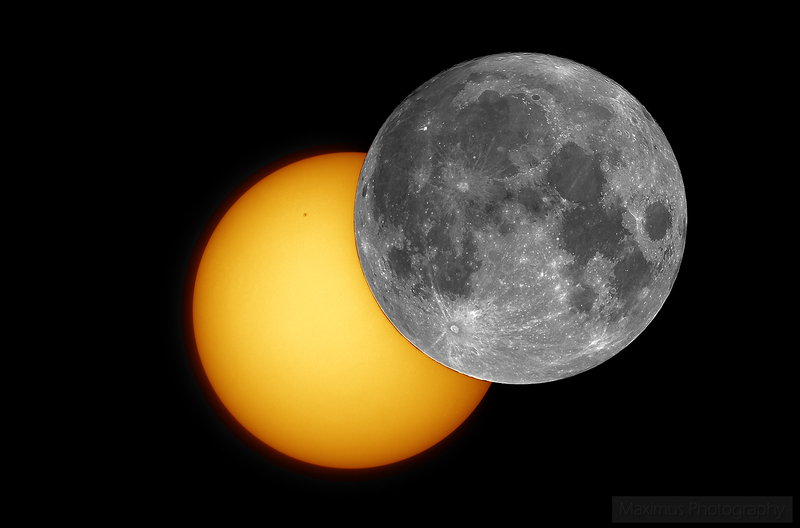 A distinct sunspot group can be seen, and also some mountains/craters on the lunar limb! 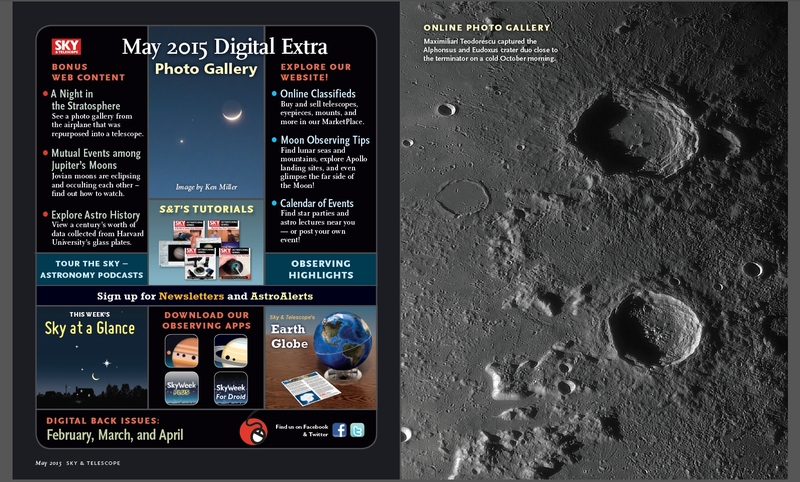 To better discern the lunar mountains/craters, a rotated view is presented below. 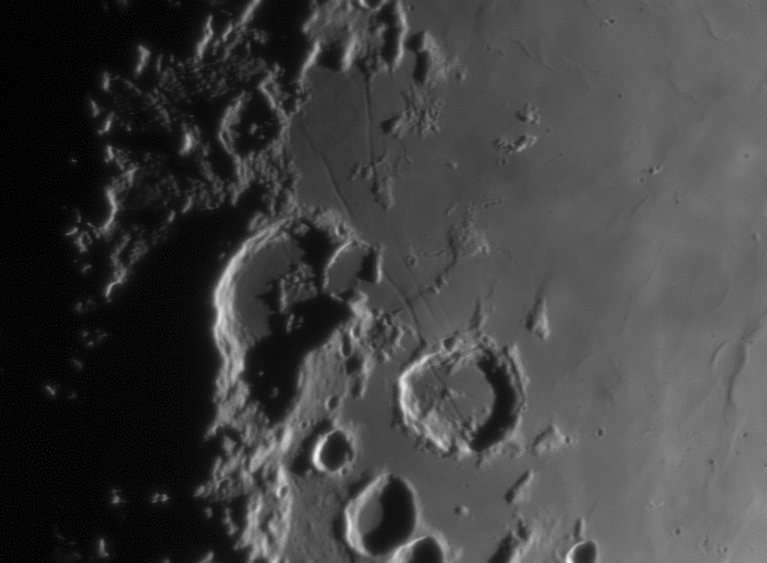 Look especially at the left part of the lunar limb, where the lunar South Pole’s mountains/craters are more dramatic. 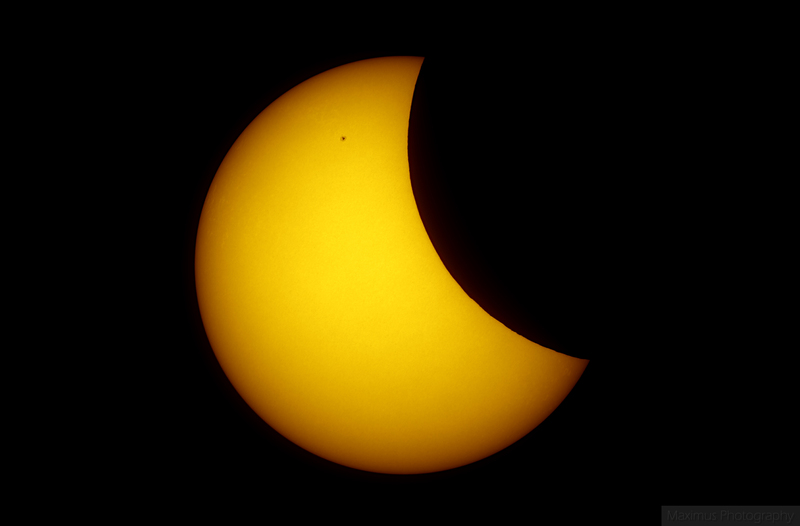 Again, some of the frames were acquired through clouds, so the solar filter was removed; this is obvious for the center five frames in the above sequence. Even if this was not a total solar eclipse, the event, despite the clouds, was surely a memorable one. 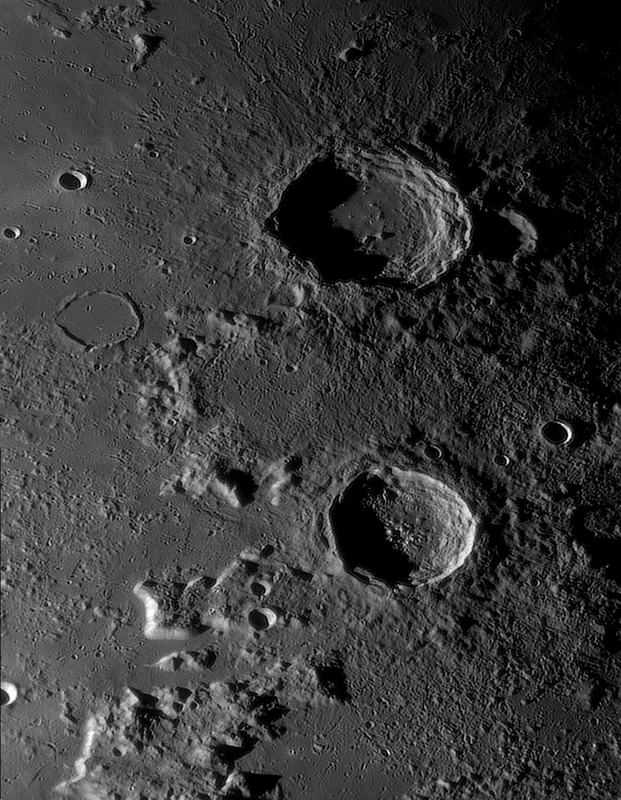 The image presents the lunar craters Aristoteles and Eudoxus, and was acquired on one memorable October morning with very good seeing conditions. 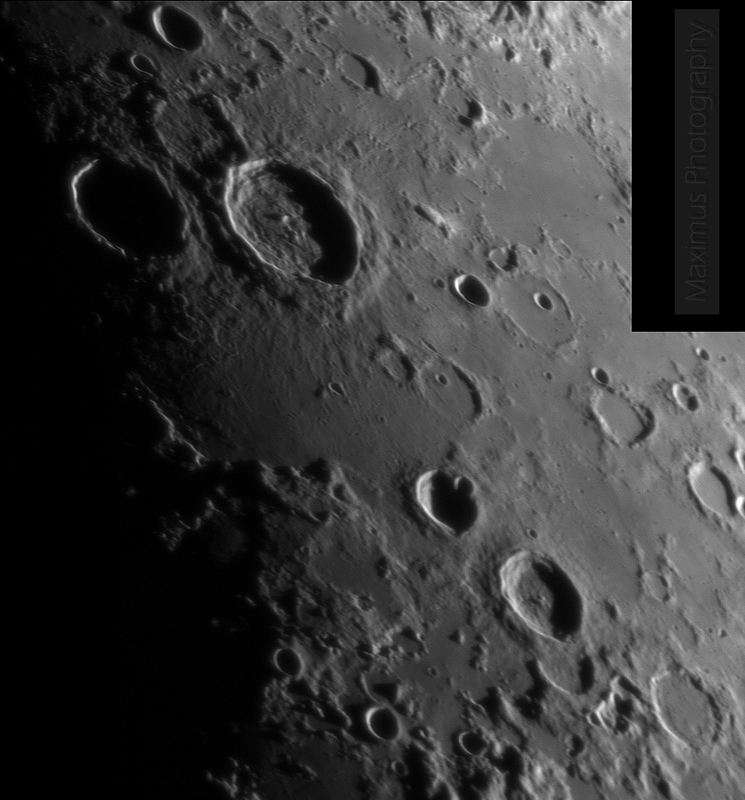 Despite some rather poor seeing conditions (3/10), with the Moon at only 30 degrees above horizon, I did get out for a brief imaging session together with Claudiu. The designated scope for this session was again the 355mm Newtonian, at F/11 coupled with the DMK21 camera and a Baader Red filter. 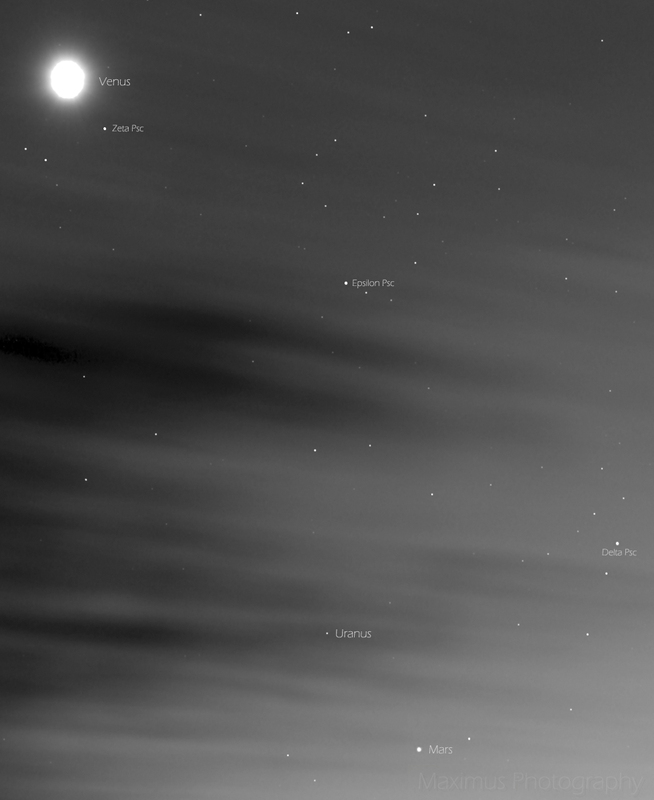 The following images show some well-known lunar formations but under a less often observed illumination. 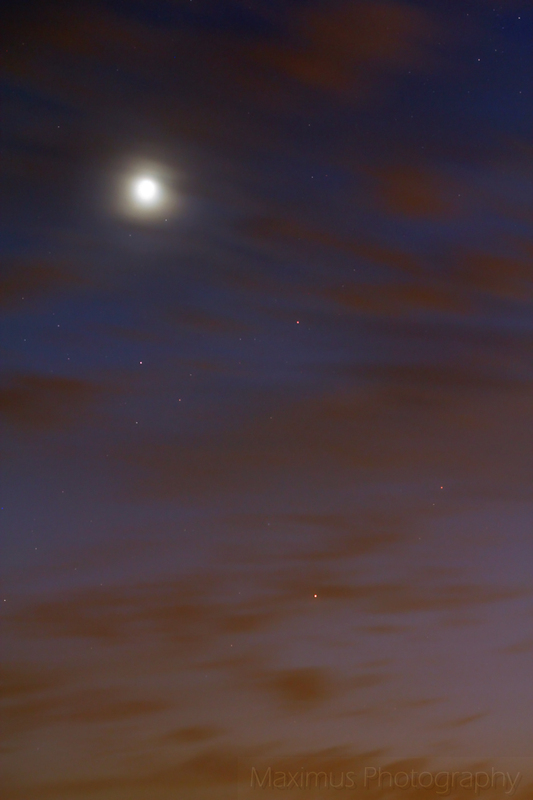 Also, I’ve managed to capture again the elusive component B of Sirius, a second time. 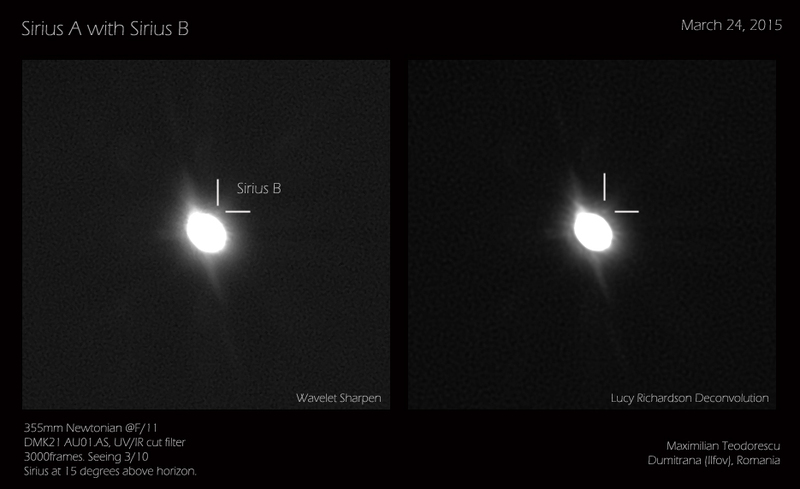 The first time I had far better seeing conditions, but still, in the following images Sirius B is well resolved. 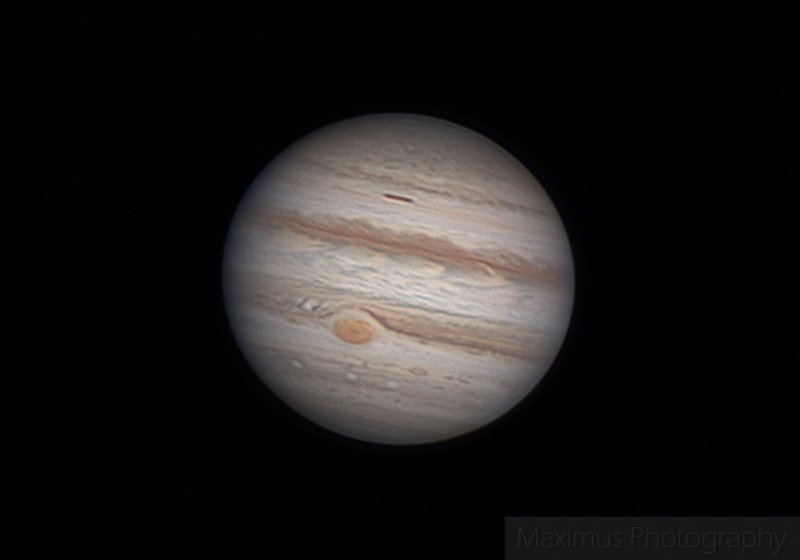 Another session with Jupiter. 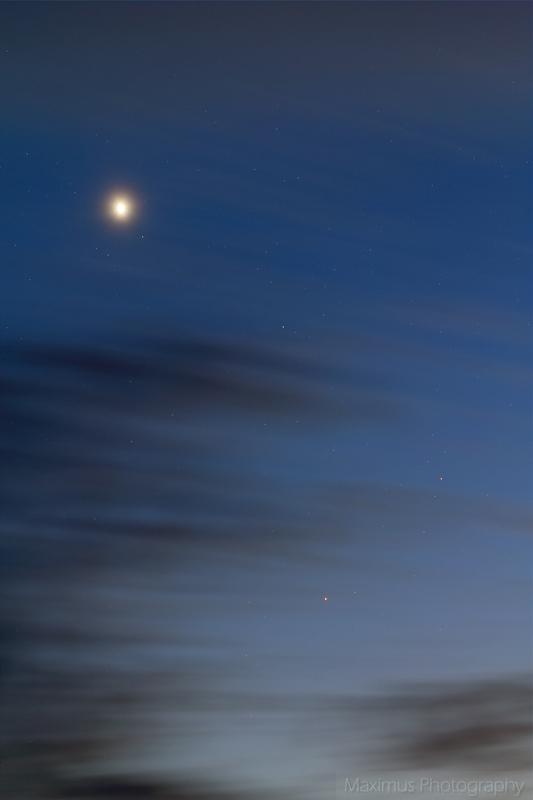 This time I had the pleasure to observe the giant planet of our Solar System together with my brother-in-law. 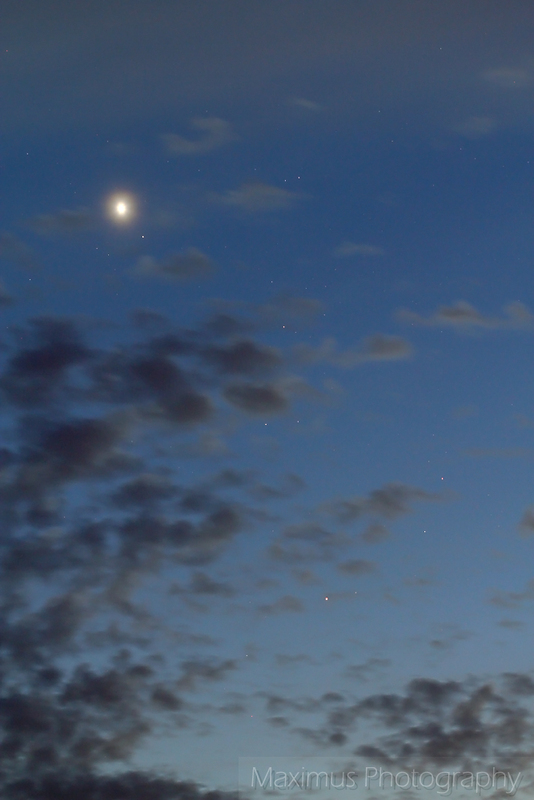 We both enjoyed views at 450x with stable moments when the Earth’s atmosphere allowed us to catch a few glimpses of the Jovian clouds. I’m still very much annoyed with the rather low sensitivity of the DMK camera, for which, at the amplification employed, the gain has to be set to a very high value. This means that the noise is also quite high. The rare moments of good seeing did not allow for a de-rotation procedure in WinJupos, so the above and below images are LRGB sequences only. 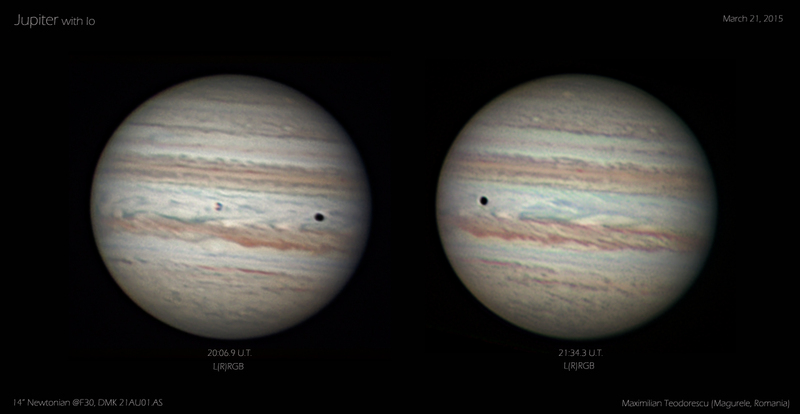 Still, some interesting details are visible, besides Io and it’s shadow (and some details on the satellite itself). There is an interesting reddish spot near the South Pole (up in the images), marked with lines. 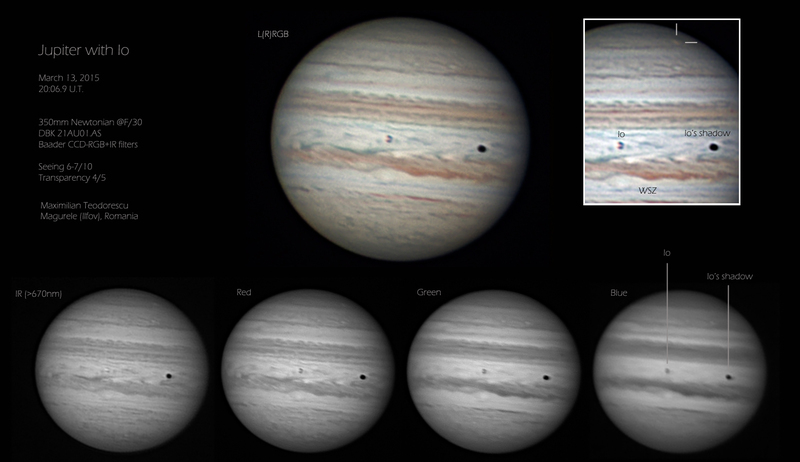 Also, a rather large spot (named White Spot Z -WSZ) is visible and marked as well in the images below. Two series of LRGB were selected. 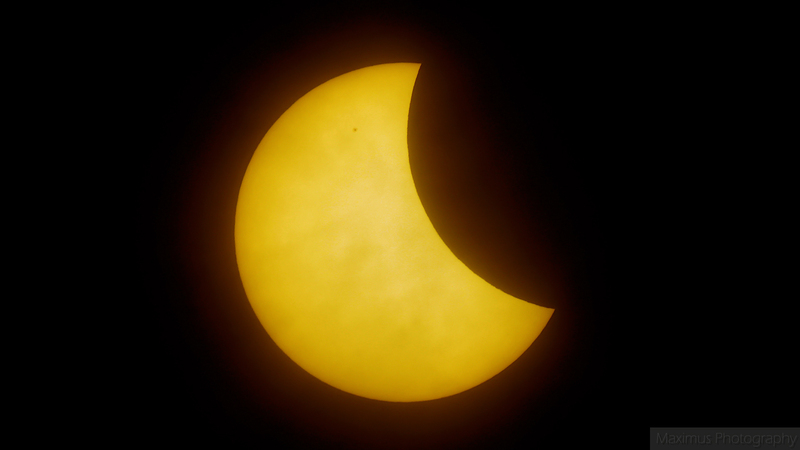 This is a first photograph of the Partial Solar Eclipse that just took place. A more extensive post will follow in the days ahead, but for now I didn’t want to let the event pass into history too fast. 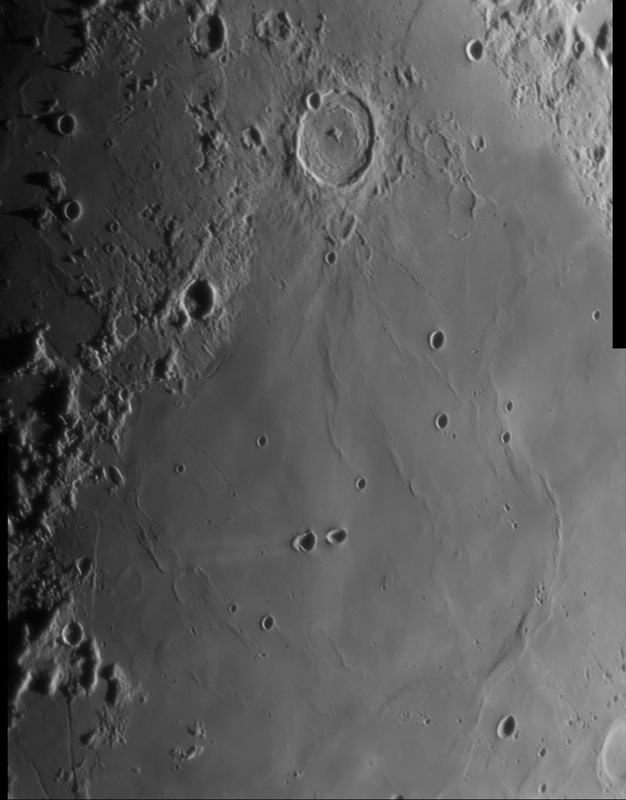 The above image is a single frame acquired at 09:29 U.T, before the maximum phase. 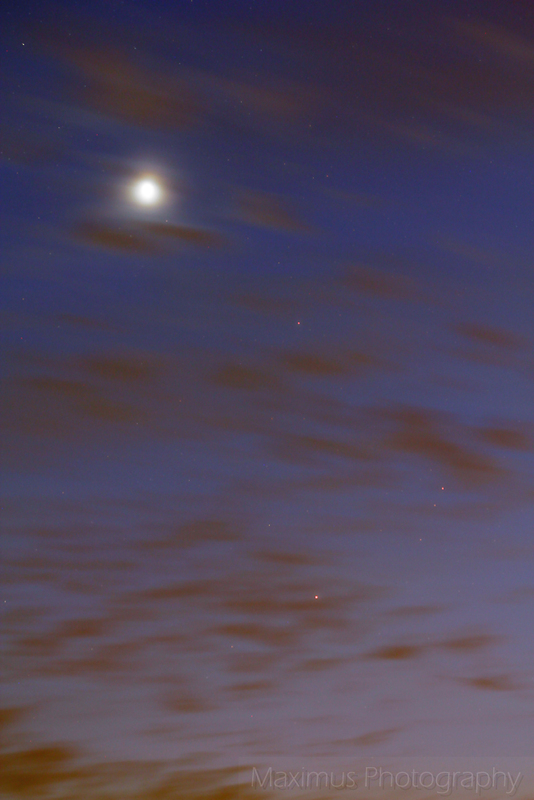 The equipment used was the 4.5″ F/7.5 APO Refractor coupled with a Canon 550D, all onto the EQ6 mount. Also, I’ve acquired a few very short videos, one of which is presented below. After four tryouts with the newly modified 355mm Newtonian, all failures due to clouds or bad seeing, I’ve finally got a brief chance to test the optics and mechanics of my main planetary scope. Together with my friend Claudiu we had some very good moments at the eyepiece (at 450x) looking at the largest planet of our Solar System. 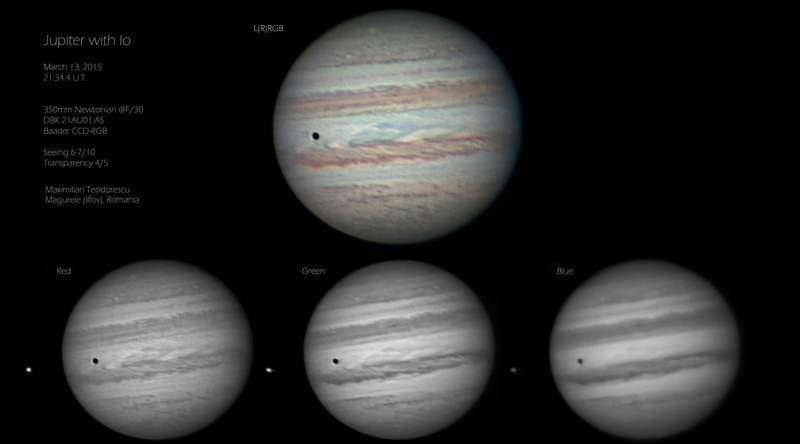 Despite those moments being rather short, the views from this night will remain imprinted in our memories…at least until the next good seeing imaging session. 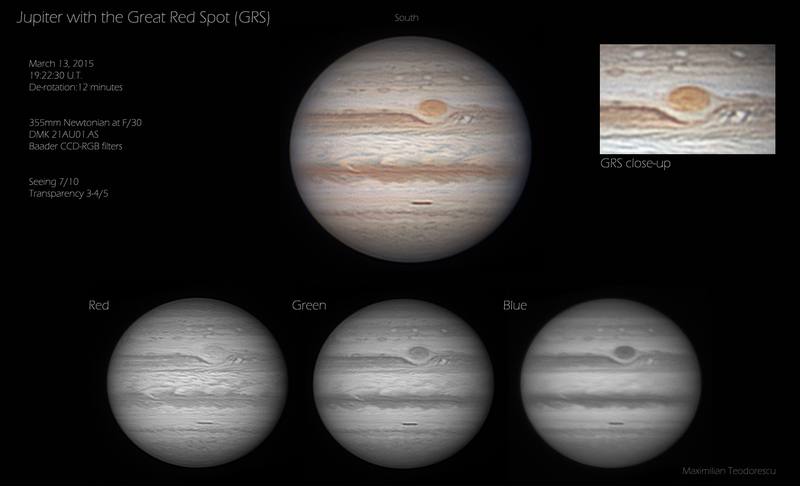 At first I thought that the resulting image will be my very best in terms of resolution in the planet’s atmosphere, but due to large instabilities each few minutes, the resulting RGB images are not that close to the capabilities of this telescope. Next time I will have the scope finished and hopefully better seeing conditions.